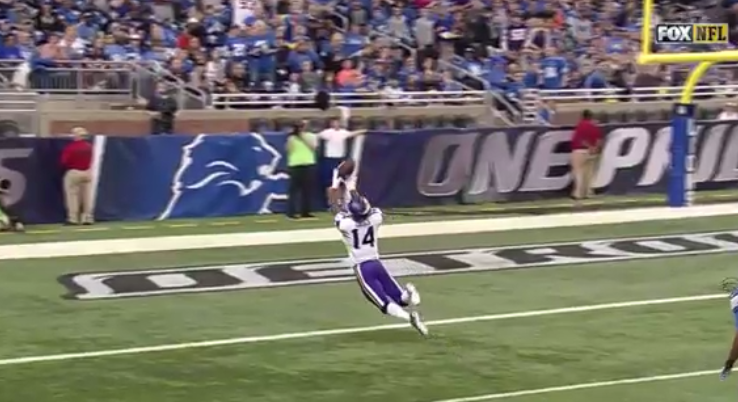 Rashad Jones Pick 6 TD Backflip..
Stefon Diggs Superman TD catch. Erick Berry with a nice pick and an even better celebration. Peterson tapping the B button. Posted on October 25, 2015, in NFL, Sports, VIDEOS. Bookmark the permalink. Leave a comment.